Entrepreneurs are taking the world by storm now more than ever. People more commonly start their own businesses than go on long job hunts for the right career. Starting a small business can be much easier with some education in the field that your company specializes in. While traditional classes won’t hurt, online courses be more beneficial in the long run. By taking classes online, you can save time and money to put your business together and run it. The digital world also makes it possible to take different courses that relate to your business, as well as discover what kind of business you want to run. 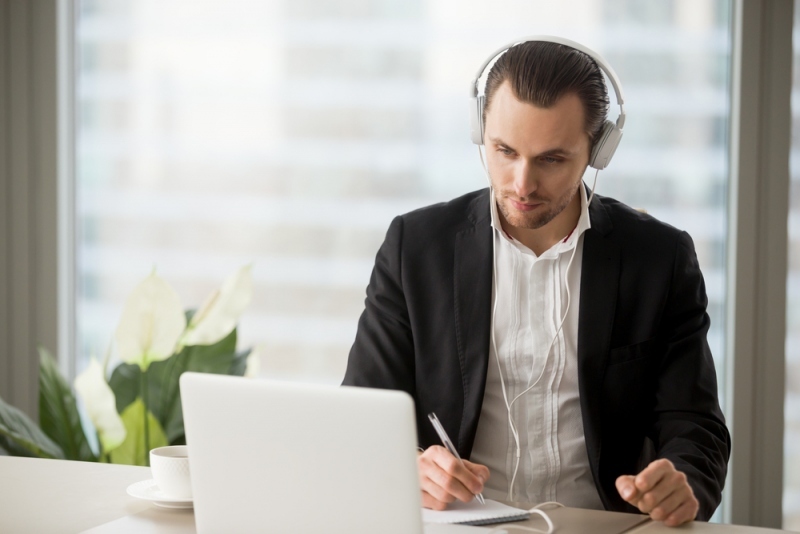 Here are five reasons why small business owners should be taking online courses. Running any business, no matter how big or small, costs money. You need to consider how much you’ll need to spend on equipment, payroll, events, and other scenarios. Taking classes to be more educated on the products and services that you’re providing adds to the costs. However, your classes can be taken from anywhere, whether it’s from the comfort of your own home or the Starbucks down the street. You won’t have to spend money commuting to a school or attending extra sessions. You can receive coaching in specific areas online that don’t require meeting in person. Take a class from a school that provides courses that can help you better run your business. Many accredited online degree programs allow you to get a major and/or minor in management, marketing and other significant business fields needed to boost customer satisfaction and improve and maintain relationships with staff. Time is another important element in providing any product or service, especially if your small business is new. You may need to keep your regular job to save up for the company you eventually want to start. While this will help you afford starting the business down the road, this can limit the time you have to put it together to the weekends or your free time. Going to a school to take classes for helping further the process along doesn’t make it any easier. While these courses could be necessary, they only take more time away from running the company. However, taking a course or two online helps you find time to keep your business going. Some courses are available over the weekend so that you can run your company or put it together during the week. If the courses last for only an hour or so, you can still make your services available during weekend afternoons. This will also leave you time to talk to consumers on your phone and computer or in person, in case they have any questions. Part of starting and running a small business is getting to know the right people. These people include experts in the field who can give you advice, professionals whom you can collaborate with, and consumers who can give you an idea of what they’re looking for. Taking courses online provides you the time to meet with these people over the weekend and also gives you the opportunity to run into these people during the week. Fellow students could be trying to set up a business similar to yours, and this can lead to your teaming up to share your expertise and start a company together. You can connect with these students on LinkedIn.com and similar career websites, which can lead to your team connecting with other professionals and growing your network even further. You can agree to meet at local events involved in your profession to exchange knowledge and build a relationship. If you plan to grow your company in the future, it’s important to know people who are familiar with how the law affects your field of business. Online courses give you the chance to meet these people. For example, if you’re taking a course in providing vehicle services, you can use your network to contact a professional such as this auto accident lawyer in Mobile, AL, to keep your customers happy in case of an accident. Online courses make it easier to become more knowledgeable in the area you choose, but they could help you find other skills to better run your business. To start a company yourself, being able to broaden your skill set is important. For example, you may have been doing floor work since you were in high school, but you need extra lessons if you plan to be a boss and not just an employee. You can talk to flooring experts in Mobile, AL, and similar professionals, and you will learn that having a wider skill set will lead to more success. The instructor of your online course can make this success easier to obtain by providing information that could be easier to access and understand than it would be if you attended a physical classroom. If you have time during the week, you can use this class to meet with your instructor to go over weaknesses that you want to strengthen. Being able to exchange information with your instructor is made easier because of the digital tools of the course, especially if you have a free weekend. Your instructors can also give you contact information to other experts when they’re busy. The digital world makes it easier to contact people from across the world with different backgrounds, expertise and interests. This especially comes in handy for those who are trying to start a business. Online courses not only make it easier to build relationships with potential business partners, but they also make finding customers and establishing a community with them a piece of cake. Some classes will teach you how to advertise your products and services in case you aren’t as computer savvy as most of today’s entrepreneurs. You’ll learn how to target your desired consumers and attract people from different age groups and demographics who can benefit from what you have to offer. Having your own website is a major benefit to being able to get your products and services out to the public. If you’ve never put one together before or don’t know how, a number of online courses are available to teach you how to do it. These classes will show you how to make your site presentable and informative so that you can get a constant flow of potential consumers. The courses will train you to do this on your own when the session is over. Other skills that you’ll be able to pick up include setting up an email list to keep in contact with customers, and create photos and videos about your product. You’ll also be able to learn how to use Facebook, Twitter, Instagram and other social media sites to advertise your business. Keep these factors in mind when you’re looking for online courses that will help your small business succeed in the future.